After realizing a need to drive toward more equitable practices and outcomes in classrooms throughout KIPP LA Public Schools, the region has created a Social Justice Steering Committee and identified four main initiatives led by leaders of the KIPP LA Team & Family including: (1) restorative practices; (2) trauma-informed teaching; (3) combating implicit bias and; (4) culturally-relevant pedagogy. LeAnna Majors, the founding school leader of KIPP Compton Community School opening in the fall of 2018, is leading the charge on cultural relevancy in the classroom. “It is important to me personally that students, particularly students of color, are seen for who they are - including their cultures, families, neighborhoods, and histories - and that these important pieces are not erased from their school experience,” said LeAnna. 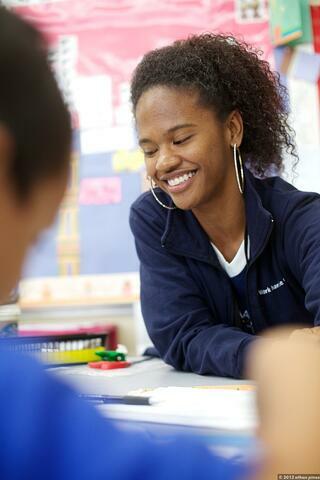 Some of KIPP LA's initiatives have started to roll out in the 2017-18 school year through professional development training sessions and resource guides. Others will begin with baseline assessments and needs analysis, officially launching during the 2018-19 school year. The KIPP LA blog will be following the implementation process of these important initiatives necessary to create a network of schools in which students and staff from diverse backgrounds can succeed. Follow along throughout the next school year for updates!